Christmas is not about the presents. It’s about showing up your neighbor with a flashy display of incandescent holiday cheer. Here now, seven blinding exhibits that would cut through a foggy Christmas Eve better than Rudolph’s glowing red nose ever could. 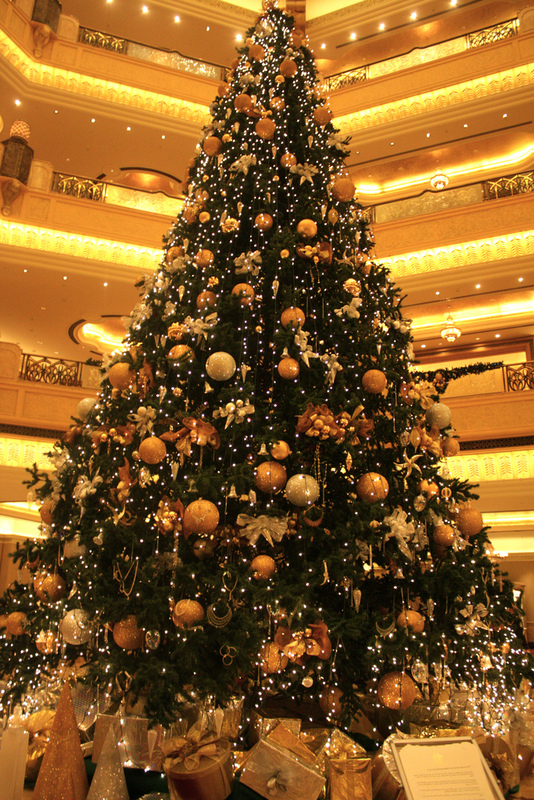 Valued at $11,026,900, the most expensively decorated Christmas tree was erected and displayed by the Emirates Palace in Abu Dhabi from December 16th to December 19th, 2010. 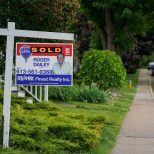 Besides traditional bows and ribbons, the 40-foot evergreen was adorned in necklaces, earrings and other pieces of expensive jewelry. Christmas ballin’. Everything’s bigger in Texas. 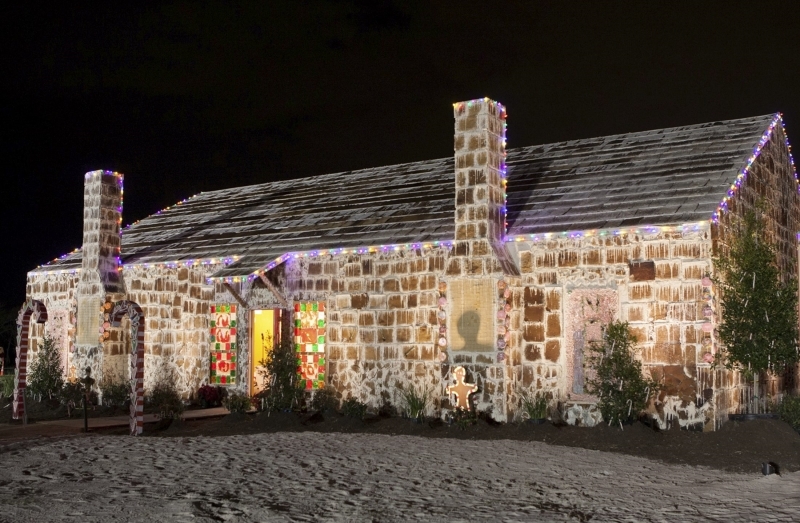 So naturally the Lone Star State is home to the world’s largest gingerbread house. 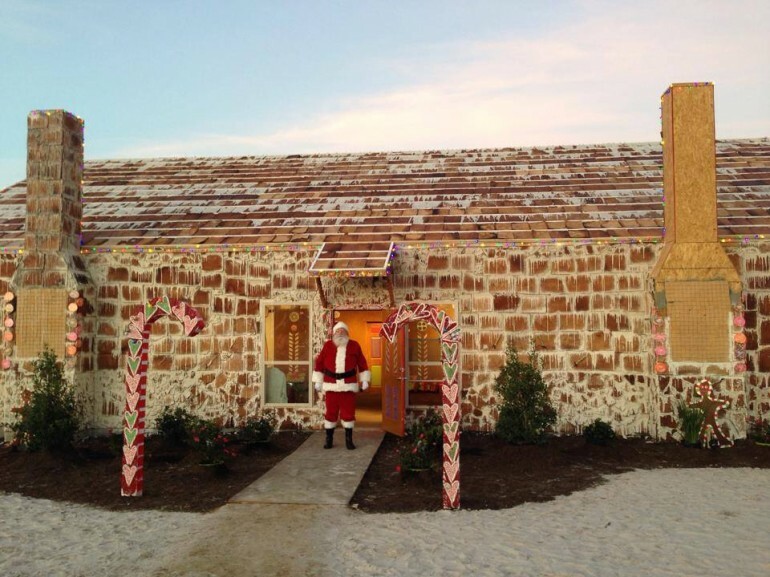 Located at Traditions Golf Club in Bryan, Texas, it took 7,200 pounds of flour, 7,200 eggs, 3,000 pounds of brown sugar, 1,800 pounds of butter and 22,304 pieces of candy to build the carbohydrate construction that stands 10 feet tall, 60 feet wide and 42 feet deep. Total calories: 35.8 million. Who needs toys when your entire Christmas tree is a giant arcade game. 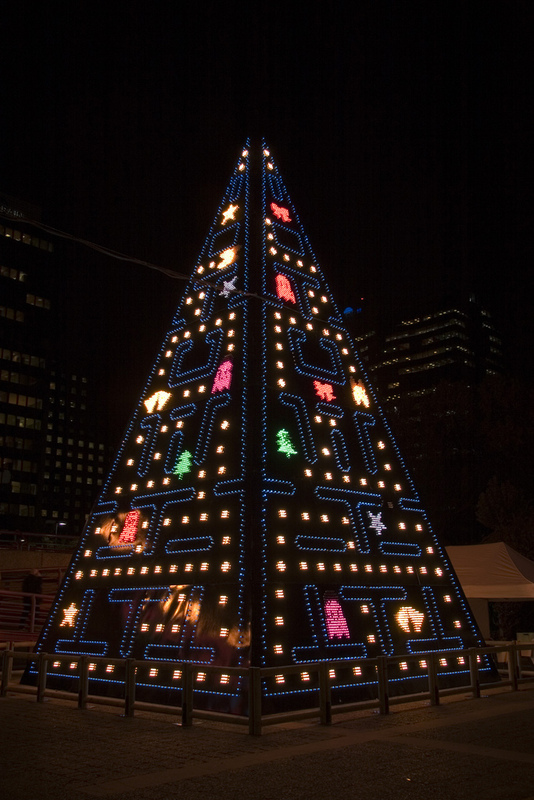 Downtown Madrid was home to this festive Pac-Man display in 2007. Like Rudolph the Red-Nosed Reindeer, The Richards family of Canberra, Australia will go down in history for a luminous holiday landmark. 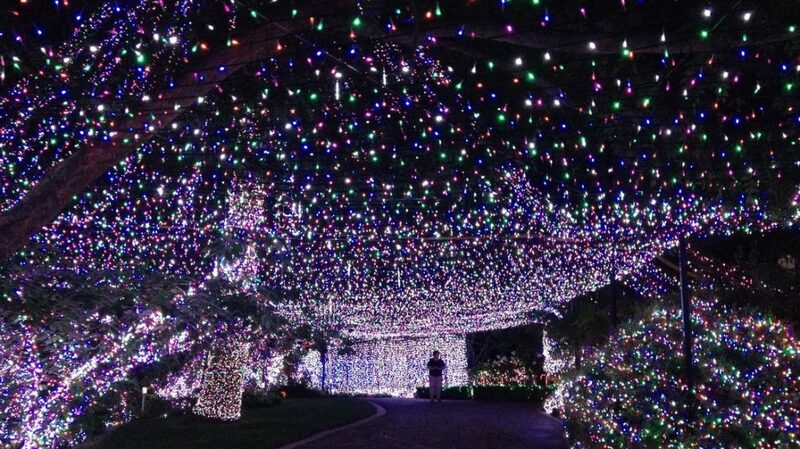 But unlike Rudolph’s solitary shiny nose, the Richards had to adorn their home in 502,165 LED lights to land in the Guinness Book of World Records for the most Christmas lights on a residential property. 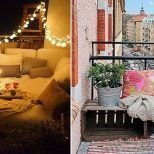 The couple actually held the record back in 2011 with 331,038 lights, but were beat out last year by the Gay family of Lagrangeville, New York. In the true spirit of Christmas competition, the Richards are using their display to raise money for an Australian children’s charity. 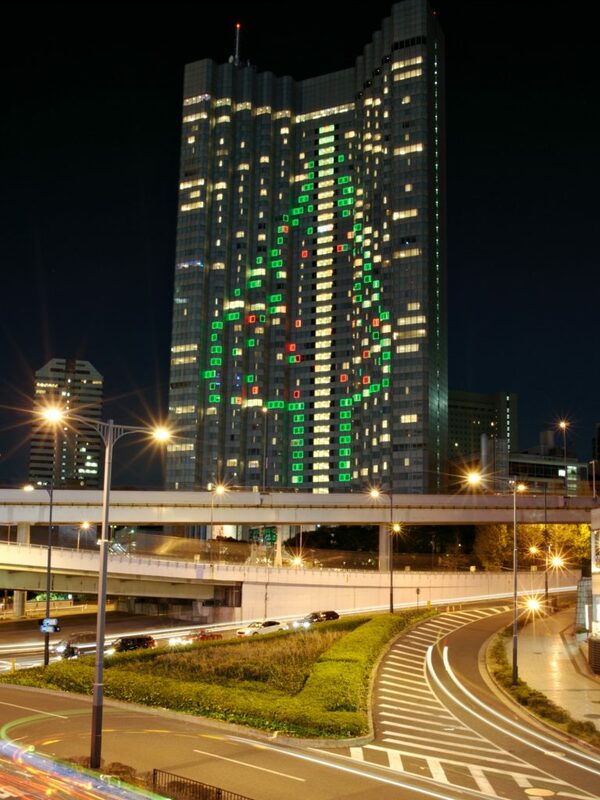 In 2010, the facade of Tokyo’s Akasaka Grand Prince hotel was lit up like a 328-foot-tall Christmas tree. 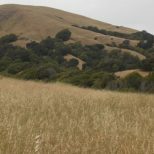 Not an annual display, unfortunately, as the structure no longer exists. Regular BuzzBuzzHome readers may recognize the Akasaka Grand Prince as the building that was demolished floor-by-floor without the aid of wrecking balls or explosives. 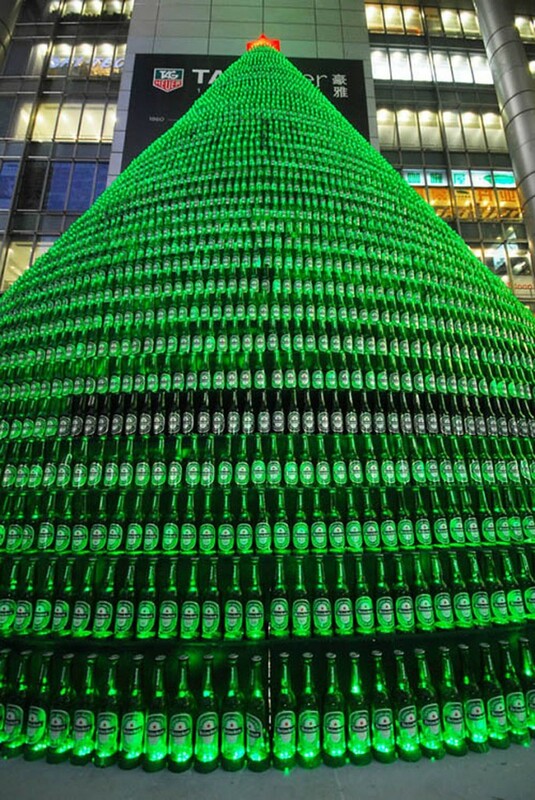 Instead of recycling all your beer bottles at the end of the holiday season this year, save them for next year so you can build your own 1,000-bottle Heineken Christmas tree. 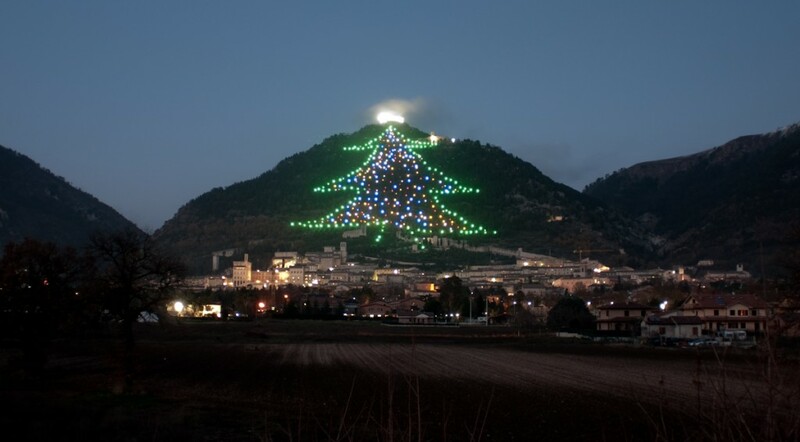 Stretching over 10,760 square feet, this Yuletide display on the face of Italy’s Mount Ingino is touted as the largest Christmas tree structure in the world — comprised of 3,000 multi-colored lights and 5.3 miles (8.5 kilometers) of electrical cable.